Kurt Busiek--famous for various comics such as the original Thunderbolts--brings us a tale of Dracula unlike one I've seen before, mixing vampires and business-mergers. This sounds interesting. 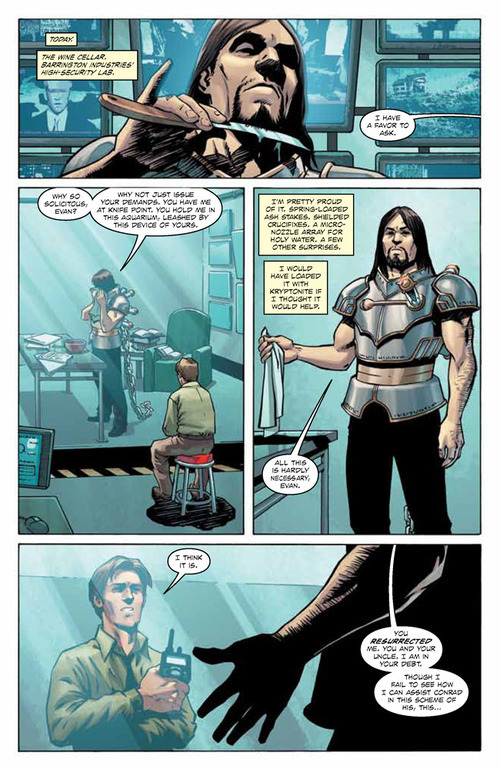 The comic starts off with some history about Vlad, and the company trying to bring him back, and before long we have a resurrected Dracula whom a powerful businessman has some plans for. The plot is interesting if a little odd with the whole, "Let's use magic to save our business and have a vampire do it!" reasoning, and the art is nice too, working for both the quiet and creepy parts and the more violent bits. I enjoyed this comic even if it was just the first four issues contained within the trade. This seems like the kind of series that is going to get more and more interesting as time goes on, with a sub-plot about vampire hunters just starting to kick-off as the first trade ends. I look forward to what comes next and trust a great writer like Busiek won't disappoint. 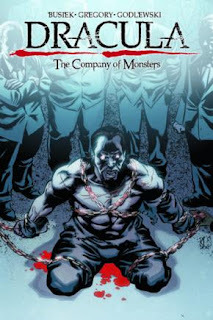 Dracula: The Company of Monsters Vol. 1 (Dracula (Boom!)) should you want a fun tale.